If you suffer from hypothyroidism (an underactive thyroid) you probably know how easy it is put on weight. To keep yourself healthy while maintaining a healthy weight, it’s a good idea to follow a meal plan. How Your Diet Can Contribute to Your Ill Health? Obviously, the way that you eat can affect your overall health. 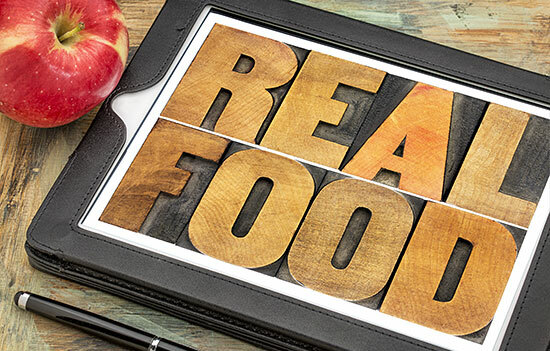 Eating the right foods can help your body digest, absorb and process the nutrients that you need. This includes eating a diet rich in vitamins, minerals and nutrients as well as foods that make it easier for your system to break down what you consume. Over the years, the standard diet has changed. Highly processed foods have become increasingly more common. Unfortunately, food that has been processed is often devoid of nutritional value. Moreover, the fresh food we eat is often sprayed with pesticides or irradiated both of which change the properties of food. People often focus on reducing fat in their diet. This is important to some extent however, most people take it too far and reduce the good fats as well. Your body uses fat to produce hormones and your brain needs fat to continue to work optimally. Do not favour the low fat options in your grocery store. Focus on consuming vegetables, fruits and healthy proteins with minimal processing. When possible, consume organically grown foods to avoid excess chemicals and increase the nutritional value of your food. The best diet to consume depends on your individual situation. However, there are certain guidelines that you should follow if you suffer from hypothyroidism. Stay away from soy products. Although many people consider tofu and other soy products to be healthful, they are not a good choice for those with hypothyroidism. It’s best to avoid gluten. The protein in gluten causes confusion in your immune system because it is similar to the tissue of your thyroid gland. A strict anti-gluten diet is best for those with hypothyroidism. Eat plenty of protein, vegetables and fruits to maintain a healthy weight and to maintain all of the nutrients that your body needs to stay healthy. 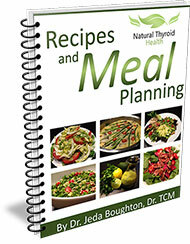 The diet that you consume with hypothyroidism can have a major effect on your health. By learning more about eating with your disease, you can help take better care of yourself, even if you do have an underactive thyroid. Should People With Hypothyroidism Avoid Goitrogenic Foods?